Approaching the end of the summer time (if you live in the northern hemisphere) it is a good time to ask questions about the way we relate and lead. Cuddy and her colleagues say that Machiavelli was partly right, but the question is not love (warmth) OR fear (competences). It is which one comes first! Rather one should start with (authentic) warmth as it is the conduit of influence. 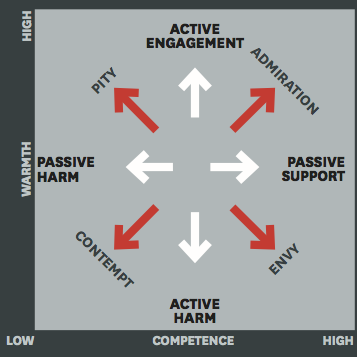 Warmth followed by competence leads to admiration. Warmth facilitates trust, communication and the absorption of ideas. So, prioritise warmth and then let your competence shine! Maxilliant's mission is to help organisations, businesses, teams, and individuals embrace CHANGE “designedly” through vision and strategy design and implementation. Are you ready for mental time travel?